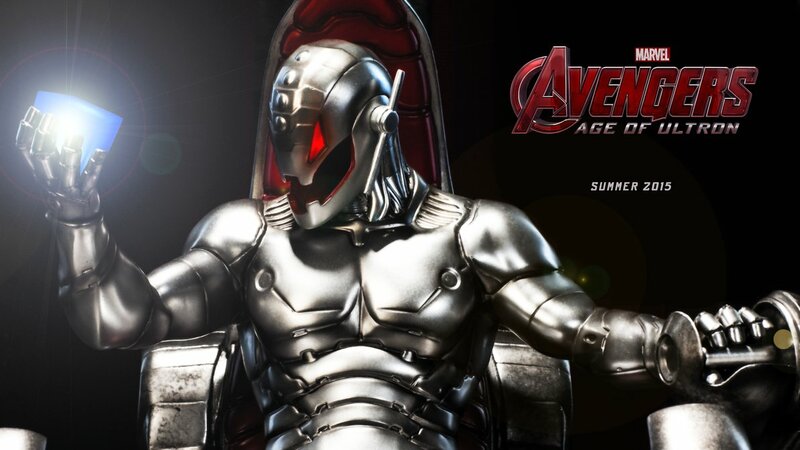 With over a year until its May 1st 2015 release, The Avengers 2: Age of Ultron has already become one of the most highly anticipated upcoming movies. Last night Marvel aired a special entitled “Assembling A Universe” where they traced the Marvel Studios history from announcing Ironman in 2006 all the way up to their Avengers sequel next year – and more. Despite no trailer – or even footage – released as of yet, we still know quite a bit about this movie. So, lets sum up. Please don’t tell me they crash ANOTHER Hellicarrier. This is why Nick Furry can’t have nice things! As I discussed in my Captain America article, Captain America 2: The Winter Soldier will be quite the political thriller that see Cap go up against S.H.I.E.L.D itself. Just as all the films of Marvel Phase Two dealt with the aftermath of The Avengers, The Avengers 2: Age of Ultron will have to deal with the aftermath of Captain America 2 while also adding in the origins and exploits of its title villai, Ultron 0 played by James Spader. 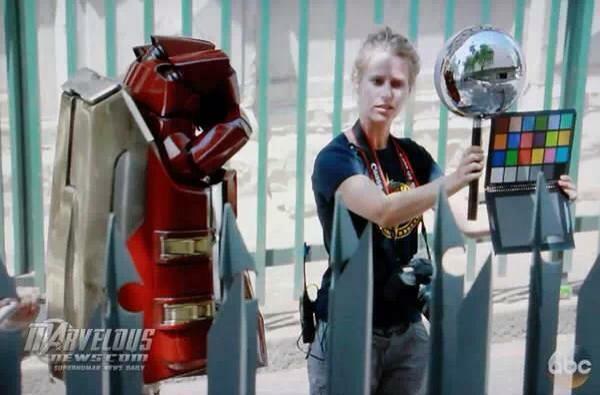 So just who is this Ultron character? Well as with all of Marvel’s film, there is bound to be some difference and reimagining. 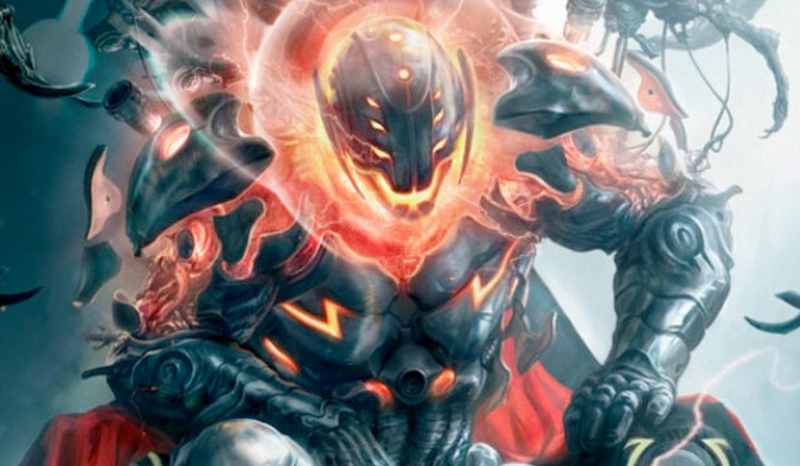 Though through and through Ultron has been one of the most powerful villains in the Marvel universe. As a sentient robotic being, he has increased strength, flight and all the usual superhero powers. What makes him truly an Avengers worthy villain is his additional powers. For starters, he is composed of adamantium armor. Don’t know what adamantium is? It’s the indestructible metal alloy Wolverine’s bones and claws are made of. Considering X-Men aren’t in the Marvel Cinematic Universe – yet – this could be renamed. His other powers differ from storyline to storyline, but there are two which spell definite trouble for any group of heroes. For starters, he can brainwash people through the use of subliminal messages and basically turn them into sleepers – or attackers. Another ability is that he can transfer his consciousness into any computer system or even robot body. Add that with his brainwashing via subliminal messaging, and Ironman as well as anyone with an iPhone, computer, TV, etc better watch out. The first hurdle for Age of Ultron is to see if these characters can still stand each other. “One of the best thing about the Avengers is that it’s a shifting roster. The team can be quite different, and we wanted to explore that” Feige said during the special. When Captain America 2: The Winter Soldier ends, we’ll have seen that allegiances have shifted and new friendships are formed. 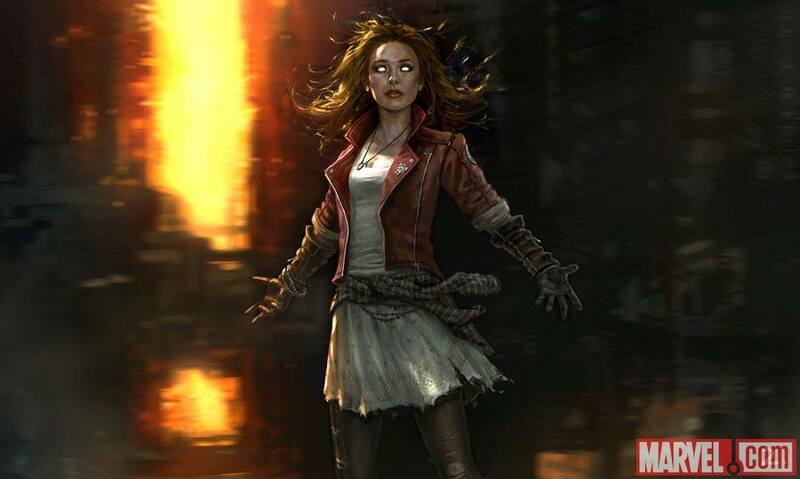 Adding to this already unorthodox mix will be Scarlet Witch and Quicksilver, who apparently don’t start off as good guys. Rumor has it these two characters might be introduced in one of the post credit scenes for the Captain America sequel. Beyond these two, there’s a good chance Iron Patriot and Falcon might be brought along too – since people felt leaving War Machine out of The Avengers was sloppy. It will also be interesting to see what role Marvel’s Agents of S.H.I.E.L.D. plays in all this – if any. Coulson will obviously return and it’ll be interesting to see what the heroes reactions are, but will anyone else join – perhaps Coulson and Skye will join as two additional super powered team members. Although with all these new characters, there’s bound to be some losses. So who is going to get the axe? Well it’s too soon to tell, although with RDJ, Chris Evans, et all already locked in for Avengers 3, it’s a pretty safe bet that it won’t be one of the core members – maybe Hulk. Either way, that is all PURE speculation and can be discussed further at a later date. Right now let’s stick to things we can base our theories on. We didn’t get to see much about the Avengers sequel in their “Assembling A Universe” special, but we did see one image that has already set the internet on fire. HULKBUSTER! 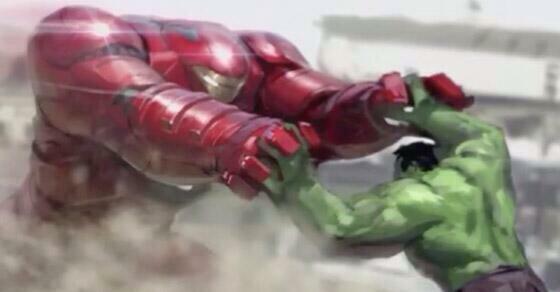 When we first saw Igor in the Ironman 3 promo, we assumed that was the Hulkbuster, but oh no. The Hulkbuster is well . . . much more powerful. For those of you who don’t know what Hulkbuster is, it’s an armor that Tony developed specifically to match The Incredible Hulk – as its name suggests. 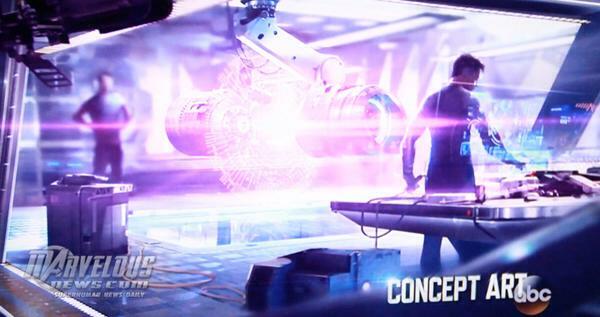 One of Ultron’s possible abilities was mind control via subliminal messaging. He could have hacked into Tony’s suit and brainwashed him, but Hulkbuster was always a counter to the Hulk – not the other way around. Tony would never wear such an overpowering and cumbersome suit if he didn’t have to. So it’s more likely that Hulk gets temporarily brainwashed. His Hulk form would be more controllable than his human Doctor counterpart – since the good Doctor Banner would be tired from using most of his limited consciousness as it is to keep the Hulk in control. Another one of Ultron’s possible abilities was being able to transfer his consciousness into other computer systems. We already learned in Ironman 3 that J.A.R.V.I.S. can control the suits on his own, so why not Ultron? Whether it’s Ultron controling J.A.R.V.I.S or kicking him out completely, remains to be seen. We’ll have to see if the rumors about J.A.R.V.I.S. voice actor being cast for the role of Vision – one of Ultron’s creations – is true, as that could be purposeful. Marvel Studios has redefined the Superhero genre of film by simply not making simple superhero films. These films are all story driven, with purpose and political intrigue and action. In many ways, these films are our favorite Hollywood genres – just with Superheroes in the background. So wherever this film is heading, you can be sure it’ll be great. And you can be MORE sure that I’ll stay on top of every single development. So stay tuned. 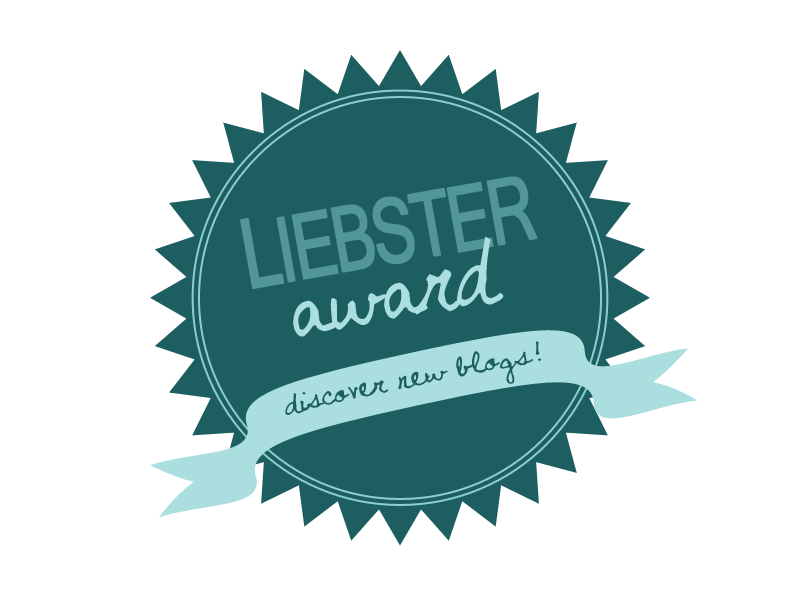 Big things are coming! Things that are “scarier and a little funkier” if you believe Joss Whedon – and we do. One final piece of concept art. Could this be Tony making a new armor . . . or the creation of Ultron himself? do you watch Agents of shield if so Do you think Skye and agent Coulson will be in avengers 2: age of Ultron . haha Actually watching this week’s past episode right now. I’ve heard theories and rumblings that Coulson and Skye might develop powers, Miss Marvel maybe etc. Though its far too much speculation to report at the moment. I’m going to keep tracking the series and the shoots for A2, and if anything comes across my radar I’ll definitely report it. I’ll also be doing a series sum up and future plans as Agents of SHIELD gets closer to the finale.